This beautiful vintage ring boasts an iridescent cushion shape diamond, adorned with band of brilliant diamonds continuing down the sides. The rarely cut shape of diamond shimmers with life giving justice to its name. 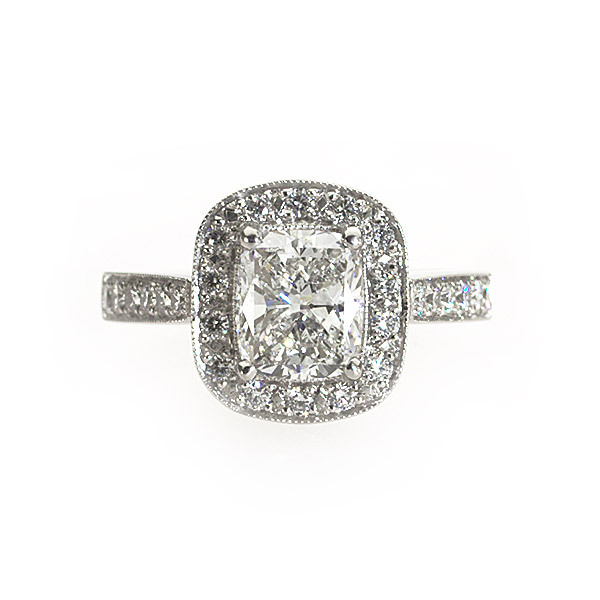 If you wish, this style can be made with a different shape of diamond. Like all of my rings, this can be made for you in any diamond size, any finger size and any metal.